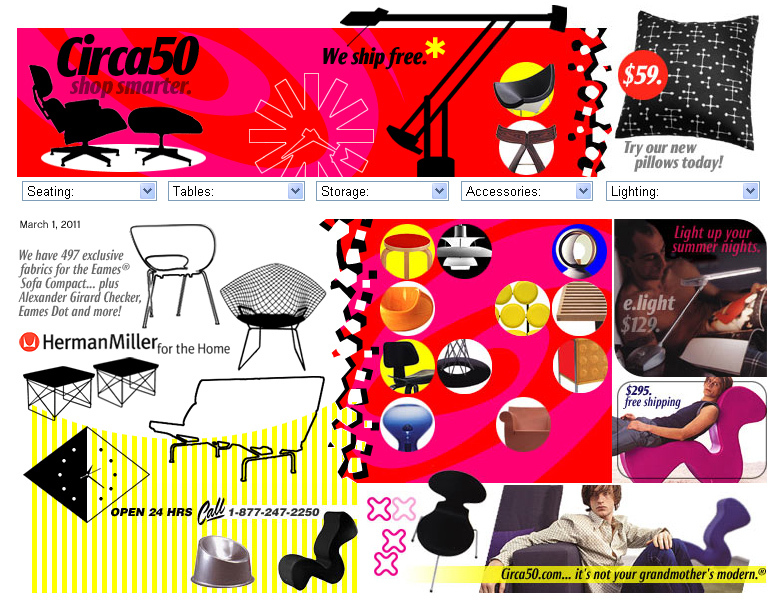 Circa50 sells high-end modern furniture. 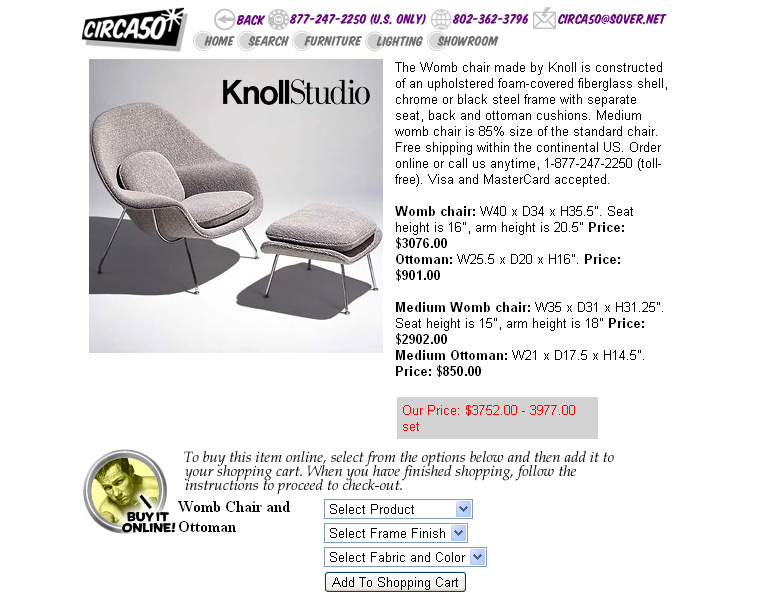 They needed a website to take orders and allow users to select options on furniture. 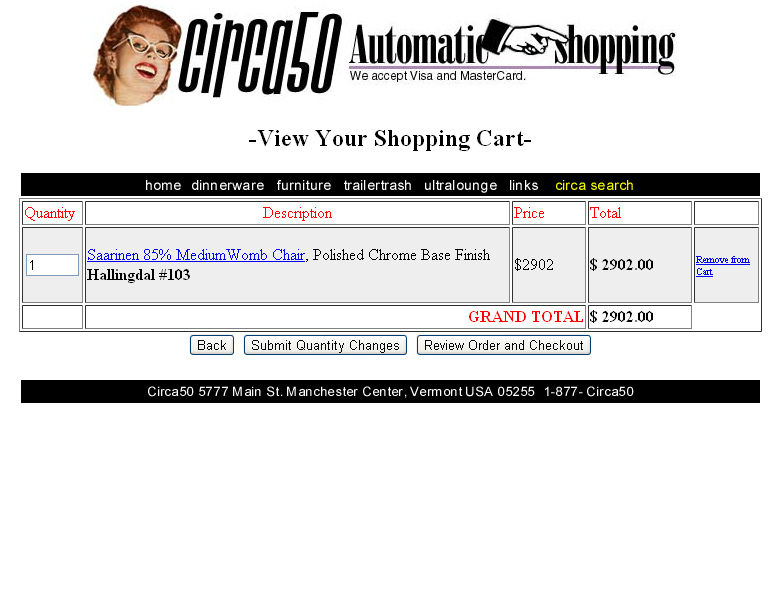 We included this project since it was the first e-commerce project we worked on. It allowed me to learn about the complexities involved in shipping, tax, and inventory tracking. It was a great project to work on.